Created for the large boardroom of an electronics company in Mississauga, Ontario in 2012. 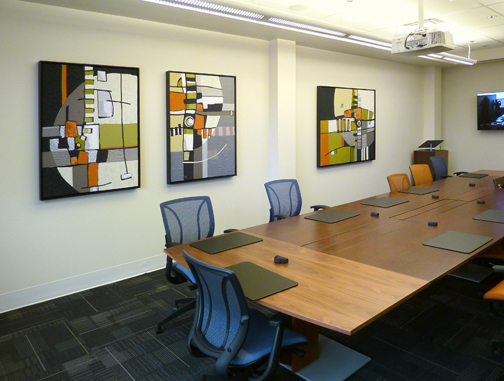 The client had two goals: break up the large white wall with an abstract design, and improve the room's acoustics. Of the two options I offered, the client chose "Dynamic Spheres". 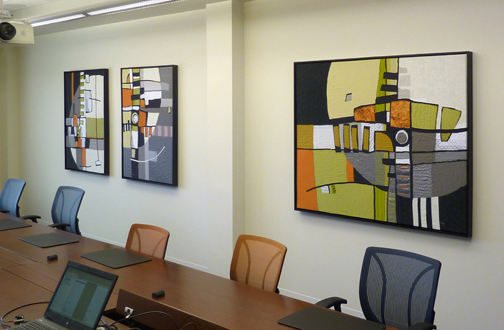 For this triptych, I drew my inspiration from office floor plans. Since this is a telecommunications company, I created a centre of gravity on the floor - the manager's desk or the president's office - anticipating how it might influence the dynamics and rhythm of the space. For acoustic value, I lined the panels with dense polyester felt. Each panel is stretched over canvas on stretcher bars, then mounted in a 2 1/2" deep charcoal wood frame. 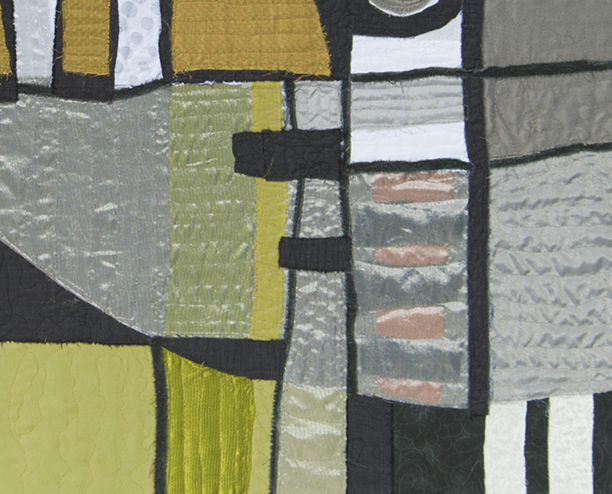 note transparent fabrics with coloured shapes beneath, all in machine appliqué.